Clicking off the radio to rid your ears of an annoying DJ or an overplayed pop song is easy enough, but it could be more satisfying. How? Well, you could stuff a literal cork in your radio, of course. Normal speakers wouldn't be phased by mere wine stopper, but by design, the DAB compatible Plugg is. The project is the brainchild of Skrekkøgle, a pair of Norwegian designers, and was built to investigate the "physical and metaphorical interaction with electronic devices." 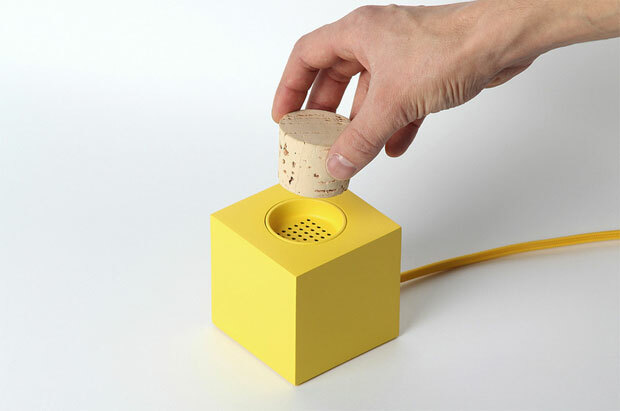 The DIY project features a pair of volume buttons and the obvious cork for an on / off switch. There aren't any build instructions and the prototype isn't available for sale, but inspired builders can get a look at the speaker's construction (including a trip to the 3D printer) on the team's Flickr page. Head past the break to see the final product in action.